Ponds that fill up with rain and fade with dry spells attract an intriguing and secretive mix of wet-loving creatures from surrounding uplands. My grandpa called them ground puppies. Hunting nightcrawler bait for his catfish lines, we would occasionally unearth strange, colorful creatures from the dark soil. They were smooth-skinned and pop-eyed, their pudgy bodies adorned with yellow spots or black-and-white bands. They looked weird, like they belonged underground. An adolescent with a burgeoning fondness for squirmy critters, I was instantly smitten. They were ambystomatid salamanders (family Ambystomatidae, genus Ambystoma) - also known as the mole salamanders - an interesting group of burrowing amphibians that breed in isolated, ephemeral wetlands. 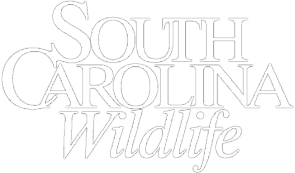 Isolated, ephemeral wetlands are the primary breeding habitat for many of South Carolina's amphibians, including five species of mole salamanders: the spotted, tiger, flatwoods, Mabee's and mole salamanders. These wetlands are small, embedded depressions - surrounded by uplands - that lack surface water or ground water connections to other wetlands. Filled by rainwater alone, they have seasonal or irregular hydroperiods - which is to say the basins of these wetlands are not always flooded. In fact, they typically dry annually. You may have heard such wetlands referred to as temporary ponds, high ponds or wet-weather ponds. The low country of our coastal plain is dotted with tens of thousands of isolated wetlands. From a low-flying aircraft, they appear as islands of swamp within a sea of pinelands. Most isolated wetlands are quite small (0.1 acre to 3 acres) and round or elliptical in shape. 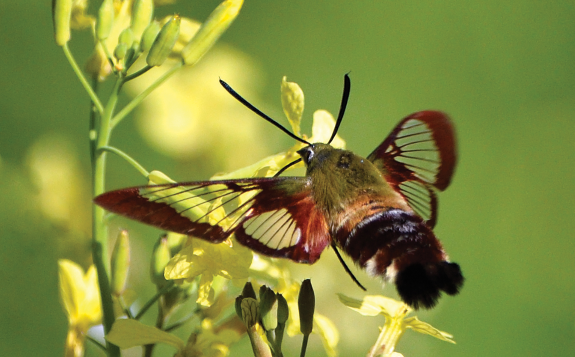 They are classified according to origin and vegetation. 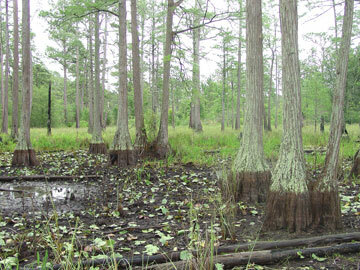 Many different types of isolated wetlands occur in South Carolina, predominately cypress ponds and Carolina bays. Walk inside an isolated wetland and you are apt to find a scattered canopy of pond cypress or black gum over herbaceous cover that is easy on the eyes - clumps of hatpins, sedges, blue flag iris, maidencane. In the spring, flooded sites may be decorated by the gorgeous yellow blossoms of the floating bladderwort. Water levels in these wetlands drop dramatically during our dry spring months when new plant growth and rising temperatures cause evapotranspiration rates to skyrocket. Lichen lines on the cypress trunks correspond to maximum depth watermarks; most of these wetlands are one meter deep when full. 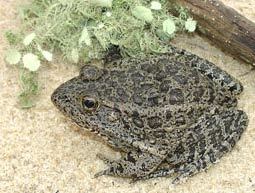 The amphibian species restricted to breeding in isolated, ephemeral wetlands cannot withstand the level of predation typical of more permanent wetlands. Gelatinous amphibian eggs and soft-bodied, slow-swimming tadpoles and salamander larvae are defenseless morsels for many predators. Periodic drying removes many organisms - like fish and invertebrates - that like to snack on the aquatic stages of frogs, toads and salamanders. Heavy, soaking autumn-winter rains bring the ground puppies to the surface. At dusk, they emerge from the earth like water-logged worms and trek purposefully, en masse, to the basins of small, isolated wetlands, where courtship occurs. 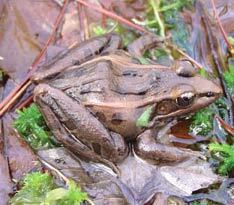 They are joined by newts and several handsome chorus frog species that are also cool-weather breeders. 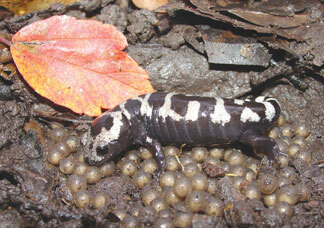 Like all salamander larvae, those of the bushy-gilled tiger salamander are carnivores. Small tiger larvae slurp insects and minute crustaceans, while larger ones eat fairy shrimp and even the larvae of other amphibians. By May or June, they have their limbs and their gills begin to resorb - metamorphosis is under way. In years when isolated wetlands remain flooded, a suite of spring-summer breeders arrives. 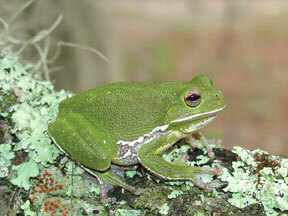 Frogs, particularly treefrogs, characterize wet summers in South Carolina. Everyone should wade a cypress pond on a wet June night and enjoy the cacophonous din of a full-blown frog congress composed of dozens of hammering pinewoods treefrogs, along with a healthy mix of peeping oak toads and bleating narrowmouth toads. During your walk, expect encounters with barred owls and banded water snakes - they are both fond of feasting on frogs. Southern leopard frogs and Eastern spadefoot frogs may breed year-round if depressions have just filled with "new water." The bright-eyed spadefoot is noteworthy: "frog-strangler" torrents are necessary to stimulate these subterranean hermits to surface and breed. Spadefoots will breed in that gentle swale in your lawn and similar sites where water only pools during extreme rain events. The mewing groan issued by calling males carries for more than a half-mile and is unforgettable. The classic Life Histories of the Frogs of Okefinokee Swamp, Georgia, by A.H. Wright, describes this croaking as "like the groan made by a deep-voiced man having a tooth pulled," and, my favorite, "like the laments of hellbound souls." 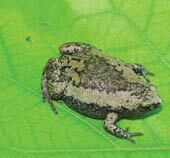 Adapted to the most ephemeral waters, spadefoot development from egg to newly transformed toadlet is completed in two weeks. 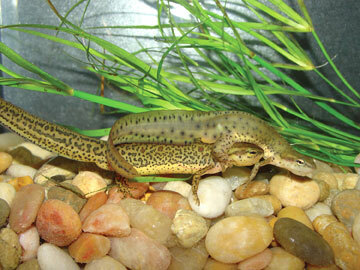 For isolated wetland-breeding amphibians, reproduction is tied to pond hydroperiod, which in turn depends on rainfall. They are described as "boom or bust" species because they experience great annual variation in reproductive success - depending on when or if their breeding pond fills and how long it remains inundated. A banner year with large numbers completing larval development (and transforming into juveniles) may be followed by several poor years without reproduction - because of drought or large numbers of predators and competitors sharing the pond. We know from landmark field studies conducted by Savannah River Ecology Laboratory herpetologists near Aiken that large annual fluctuations in population size are a hallmark of isolated wetland amphibians. Long-term monitoring efforts at SREL have made huge contributions to our understanding of these amphibians and their habitats; some breeding sites have been continuously monitored for more than twenty-five years. These studies have generated impressive numbers: in a single breeding season, 12,000 adult marbled salamanders traveled to "Ginger's Bay," a small Carolina bay wetland; at another bay, more than 75,000 amphibian larvae completed development in a single year before moving into adjacent woodlands. This flow of biomass into and away from isolated wetlands - eloquently referred to as "grand movements of life in cyclic waves" by ecologist Charles Wharton - is meaningful to both isolated wetland ecosystems and to upland habitats nearby. Think of all the red-shouldered hawks, wading birds, Eastern kingsnakes and raccoons that find energy in the form of amphibian dinners! Tragically, many of our isolated wetlands or the upland habitats surrounding them have been lost or degraded because of development, logging or agriculture. Remember, the frogs, toads and salamanders that breed at cypress ponds and Carolina bays spend most of their lives (more than 90 percent) in the upland habitats that surround these wetlands. Remarkably, these little newts and frogs commonly crawl or hop up to 1,000 meters from their breeding ponds to reach suitable shelter or foraging habitat. Field studies of Eastern spadefoots, gopher frogs and ambystomatid salamanders - all of which may live more than ten years in the wild - have demonstrated that individuals return to the same ponds to breed throughout their lives and often inhabit the same terrestrial home ranges outside of the breeding season. Because of habitat loss, several of South Carolina's isolated wetland amphibian species are declining and in big trouble. 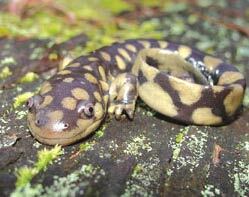 The federally listed flatwoods salamander and the state-listed gopher frog require open, grassy cypress wetlands within longleaf pine flatwoods - disappearing habitats that depend on growing-season fires to function naturally. According to Steve Bennett, herpetologist with the S.C. Department of Natural Resources, the state monitors flatwoods salamander and gopher frog populations on public lands in collaboration with the U.S. Forest Service and the U.S. 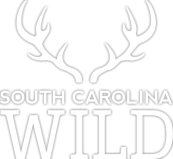 Fish and Wildlife Service. Long before I became aware of science, these beautiful wetlands creatures had a big impact on my life, especially in my choice of a career. Now that I'm a scientist, I realize my grandfather was a good fisherman because he could read the rhythms of nature and anticipate what the fish would be doing tomorrow. My memorable time with him was a fine foundation for someone interested in the natural world. Take time to notice the amphibians of isolated wetlands. 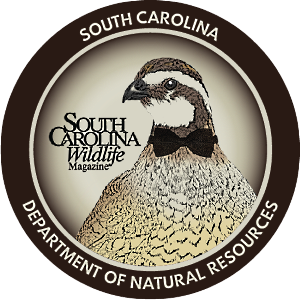 They have interesting stories to tell and are among the many splendid jewels of natural South Carolina. Dirk J. Stevenson is a herpetologist and free-lance writer living in southeastern Georgia.